536 pages | 107 B/W Illus. In this book, we invited 146 authors with expertise in health policy, systems design, management, research, or practice, from each of the countries included, to consider health reforms or systems improvements in their country or region. The resulting case studies, of 52 individual countries and five regional groupings, cover 152 countries or territories, or three-quarters of the world’s nations. 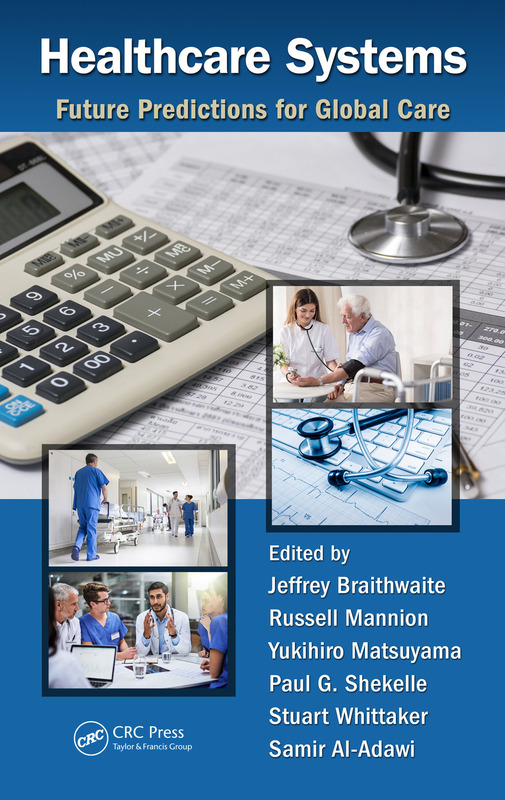 Each chapter author was asked to think 5–15 years into the future and make a prediction on how their health system could be strengthened as a result of the successful unfolding of their case study. The types of projects our authors have chosen to explicate into the future are wide-ranging. They vary from e-consultation services in Estonia, achieving universal health coverage in Argentina and Mexico, reforming long-term care in the Netherlands, reassessing care for the aging population and the frail elderly in Australia, streamlining the health system through Lean Thinking in Nigeria, using regulation to improve care in South Africa, developing a new accreditation model in Turkey, through to a critique of physician specialization in Russia and applying IT initiatives to improve care in China, Lebanon, Taiwan, Papua New Guinea, the United Arab Emirates, Venezuela and Wales. Chapter writers recognized that the improvement work they were doing was part of a moving target. There was general agreement that the effective use of limited resources and overcoming hurdles and constraints were crucial to enhancing health systems in order to deliver better care over the medium term. While some initiatives required considerable funding, many were relatively inexpensive. These case studies demonstrate ways in which fruitful application of partnerships and creativity can make considerable gains in strengthening healthcare delivery systems. 15 Austria: Primary Healthcare Centers: A Silver Bullet? Ahmed Al-Mandhari, Huda Alsiyabi, Samia Al Rabhi, Sara S. H.
Russell Mannion, BA (Hons), PG Dip Health Econ, PhD, FRSA, FAcSS, has over 30 years experience in health care research. He is Chair in Health Systems, University of Birmingham, Visiting Professor at the Australian Institute of Health Innovation, Macquarie University, and Visiting Professor in the Faculty of Medicine, University of Oslo. He was previously Director of the Centre for Health and Public Services Management, University of York, and Board Director of the York Health Economics Consortium. He provides expert advice to various health agencies including WHO, OECD, European Health Management Association and UK Department of Health. He has authored or edited 10 books and around 200 peer-reviewed publications, many in leading scientific journals including The BMJ, The Lancet and The Milbank Quarterly. He is associate editor on the editorial board of four international health policy journals and has garnered several international prizes for his research including the Baxter European Book Award. Yukihiro Matsuyama, PhD, is Research Director, the Canon Institute for Global Studies, Affiliate Professor, Chiba University of Commerce and Honorary Professor, the Australian Institute of Health Innovation, Faculty of Medicine and Health Sciences at Macquarie University. His research examines the sustainability of safety-net systems in Japan including healthcare, pension, pandemic crisis and employment through international comparative analyses. He has served on government committees including as a member of the Welfare Committee. He has published many books including Healthcare Economics in the United States (1990), which introduced the theoretical concept of DRG/PPS and Managed Care into Japan for the first time, AIDS War: Warning to Japan (1992), Health Reform in the United States (1994), Break Through of Japan? Economy under Half-Population (2002), Healthcare Reform and Integrated Healthcare Network, as a co-author of: Keiko Kono (2005), Health Reform and Economic Growth (2010) and Depth of Healthcare Reform (2015). Paul G. Shekelle is a staff physician at the West Los Angeles Veterans Affairs Medical Center, and is a professor of medicine at the University of California, Los Angeles (UCLA) School of Medicine. He is widely recognized in the field of guidelines, quality measurement, and evidence-based medicine. In 1996-1997, he spent a year in England as Atlantic Fellow in Public Policy. He is a past chair of the Clinical Guidelines Committee of the American College of Physicians (ACP). Stuart Whittaker, BSc, MBChB, FFCH (CM), MMed, MD, founder and former Chief Executive Officer of the Council for Health Service Accreditation of Southern Africa. He pioneered the concepts of a facilitated accreditation programme and graded recognition to assist disadvantaged hospitals in Southern Africa and other developing countries to comply with professional standards. He has presented at numerous international and national conferences. As a temporary consultant to the World Health Organisation (WHO) he participated in projects to assess the impact of accreditation on national health systems and choosing Quality Approaches in Health Systems. He was appointed by the Minister of Health of South Africa in 2013, and re-appointed in 2017, to serve on the Board of Directors for the Office of Health Standards Compliance (OHSC) in South Africa. He is a Visiting Professor at the School of Public Health and Medicine at the Faculty of Health Sciences, University of Cape Town. Samir Al-Adawi is a Professor of Behavioral Medicine at the College of Medicine, Sultan Qaboos University, Oman. Previously, he was a Fulbright Senior Scholar at the Department of Physical Medicine and Rehabilitation, Harvard Medical School, US, and a research scientist sponsored by Matsumae International Foundation at the Department of Psychosomatic Medicine, Graduate School of Medicine, University of Tokyo, Japan. His doctorate training was at the Institute of Psychiatry, King’s College, UK. Dr. Al-Adawi has research interests that focus on non-communicable diseases. His research and publications have specifically focused on psychosocial determinants of health and ill health. Dr. Al-Adawi is a member of the World Health Organization (WHO) Expert Consultation Group on Feeding and Eating Disorders, reporting to the International Advisory Group for the Revision of International Classification of Diseases (ICD-10) for Mental and Behavioural Disorders.